4.5 17 Be the first to write a review! Helps remove odor, smoke, bacteria, dust and pollen from the air in your home. 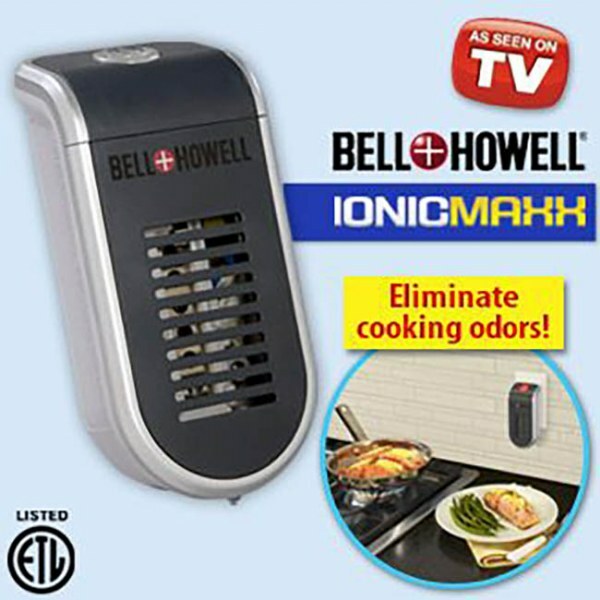 The Bell & Howell Maxx Ionic Air Purifier and Ionizer will help remove odor, smoke, bacteria, dust and pollen from the air in your home. Simply plug it into any room outlet, and it is ready to go to work. This ionizer uses built-in UV LED to give you a fresh healthy breeze throughout your living or work space. The Bell & Howell air purifier is compact and portable, so you can move it easily from room to room. Covers Up To 120 Sq. Ft.